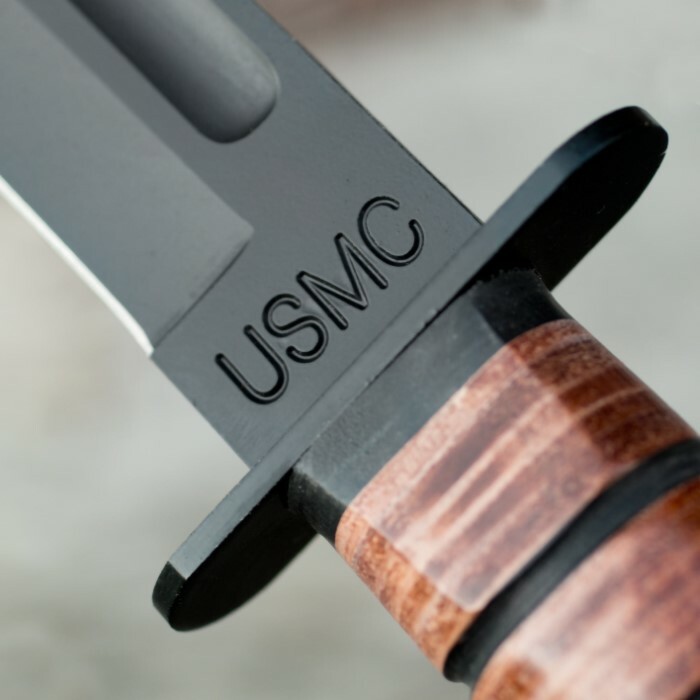 This officially licensed USMC combat knife brings you all the elements of those traditional Marine Corps knives at an everyday affordable price. The 420 stainless steel blade features a heat-treated black finish, sharp edge and piercing point. 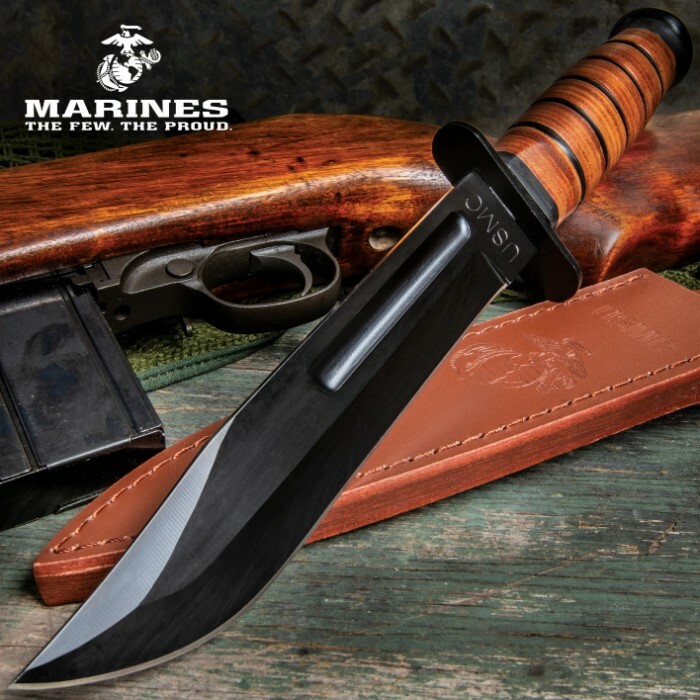 A stacked leather handle provides a superb, slip-free grip worthy of a Marine. A genuine leather sheath is included. 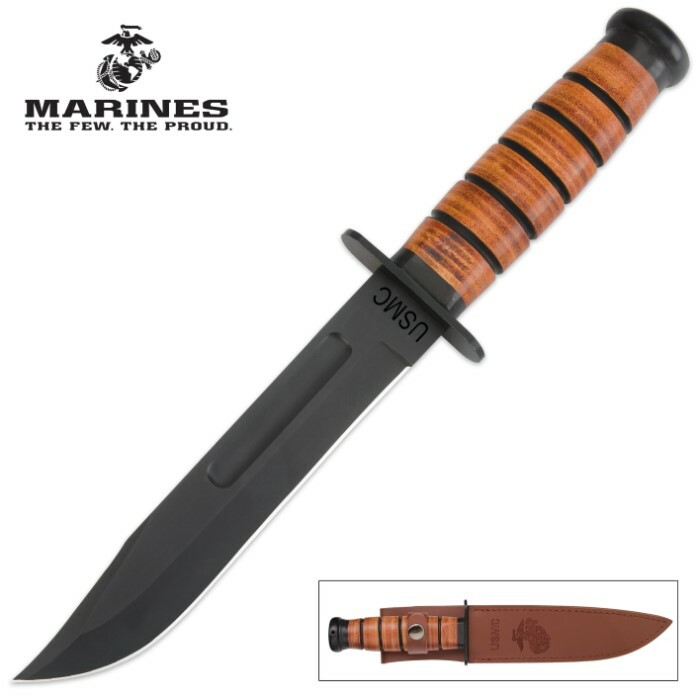 The knife is very close to the actual Kabar at a great price. Great addition to collection. This was a great gift for a friend I served with in the USMC. Awesome quality. Knife falls in line with the ones that cost you a lot more money. I recommend it for any collection. I bought this for a good friend that was in the Marines and he loved it. I have bought severl knives from this site and they have all been quality products. Good size knife with a sharp blade. My only complaint is that you cannot get the sheath's clasped to close. Maybe it's just me being dumb, but it does not want to work.